Open woodlands with widely spaced trees and an open understory, hedgerows, city parks. 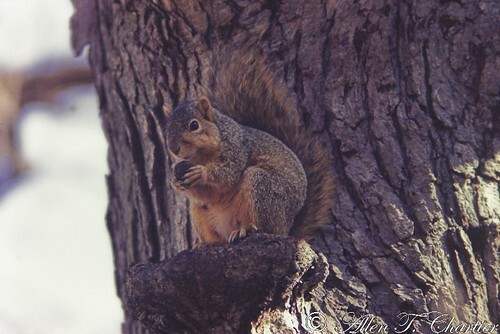 This is a medium-sized tree squirrel, 10″ to 15″ in length not including the tail. The underside and backs of the ears are light reddish-brown. The guard hairs are tipped light reddish-brown. This is especially evident on the tail, which appears gray and reddish-brown. 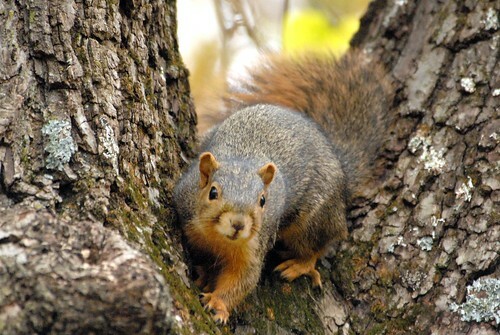 Eastern gray squirrel (Sciurus carolinensis) is smaller, no more than 10″ in length head to tail. The underside and backs of the ears are white or pale gray. The guard hairs are tipped whitish. The tail appears gray and white. Distribution Sources: 7, 15, 29. 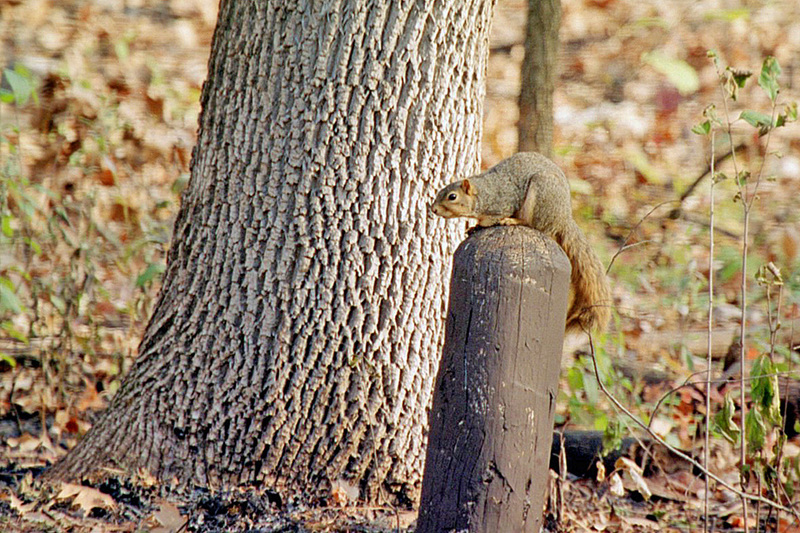 Tessa describes the importance of the fox squirrel to the shortgrass prairie. This little guy started griping at me while I was filming him. I don't think he was happy with me.